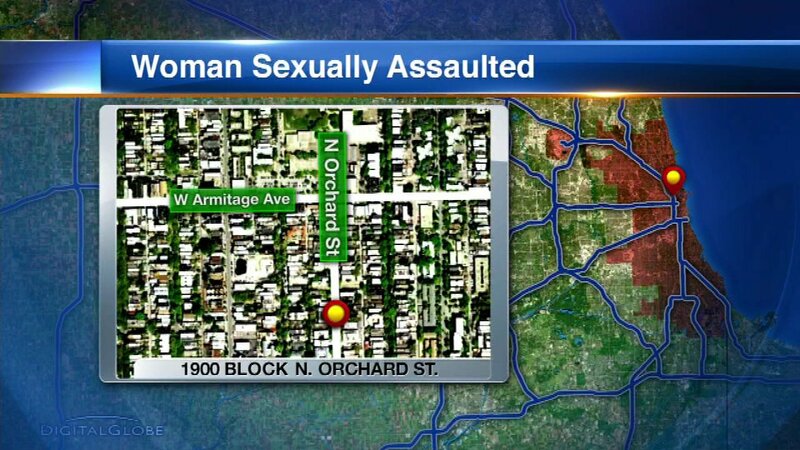 CHICAGO (WLS) -- Chicago police have issued an alert after a woman was sexually assaulted while trying to enter a residence in the Lincoln Park neighborhood Sunday morning. The woman was attempting to enter a residence in the 1900-block of North Orchard Street at about midnight when the male suspect approached her from behind, produced a knife and sexually assaulted her, police said. The suspect then fled in an unknown direction with the victim's property.